SAN PEDRO — The Los Angeles Harbor Commission approved $7.5 million at its Sept. 20 meeting for the final phase of the Port of Los Angeles Main Channel Deepening Project (MCDP). The project has deepened the port’s main navigational channels and basins to a 53-foot depth, ensuring that the nation’s No. 1 gateway for containerized trade can accommodate container ships of all sizes for decades to come. 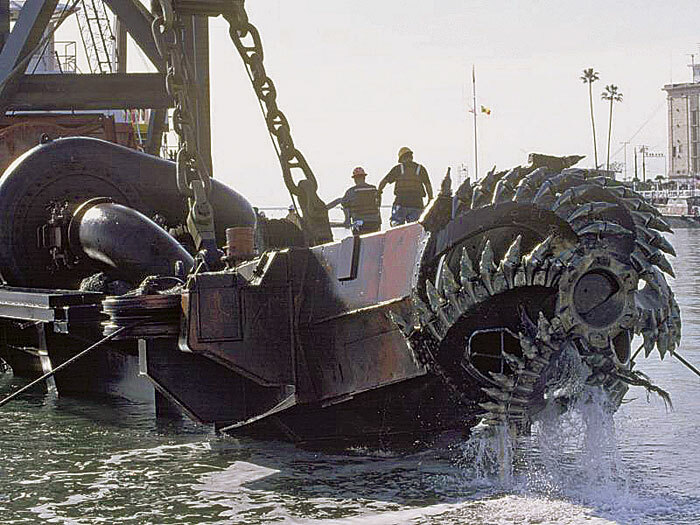 Dredging of the port’s main channel and turning basins has already been completed. The final phase of the project involves removal of dredge surcharge material and completion of a shallow water habitat in the outer harbor. The port’s nine container terminal tenants rely on the port’s deep channels to move cargo. Container terminals generate about 74 percent of port revenues and help facilitate thousands of direct and indirect jobs throughout Southern California, according to the port. The 15-year, $370 million project will be completed in early 2013.